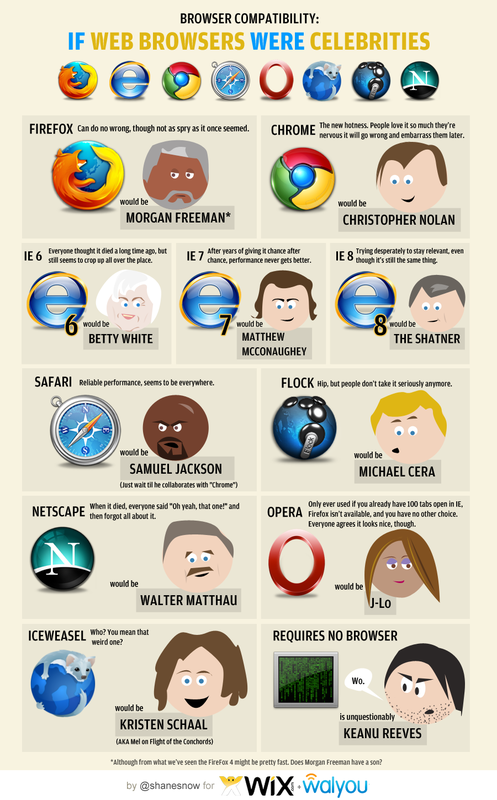 This is a funny infographic by the guys at Walyou comparing web browsers to celebrities. I’m currently using Safari so that would Samuel Jackson. The funniest is IE 6 which is Betty White and I like the no browser version which is Keanu Reeves (Matrix version). via If Web Browsers Were Celebrities [Infographic] | Walyou. Which celebrity browser do you use?